During the scorching summer of 2018, Vicarious Visions’ Crash Bandicoot N. Sane Trilogy was completely dominated the UK sales charts. It was only finally overthrown by F1 2018 and Shenmue. The weekly UK sales chart is a bit different, now that Sony has released the PlayStation 4 exclusive Marvel’s Spider-Man. The highly anticipated Marvel’s Spider-Man title has been declared the fastest-selling game of 2018 so far. Its sales have surpassed the sales of the previous champion in that region, Far Cry 5. (As a reminder, Far Cry 5 was a multiplatform game that also appeared on the Xbox One and PC.) In addition to that, Marvel’s Spider-Man sold nearly double that of God of War, which was also released exclusively on the PS4. Interestingly enough, Crash Bandicoot: N. Sane Trilogy still lingers on the chart and we had another brand new release that almost made it to the very top, Dragon Quest XI: Echoes of an Elusive Age. Destiny 2: Forsaken also made it onto the chart. 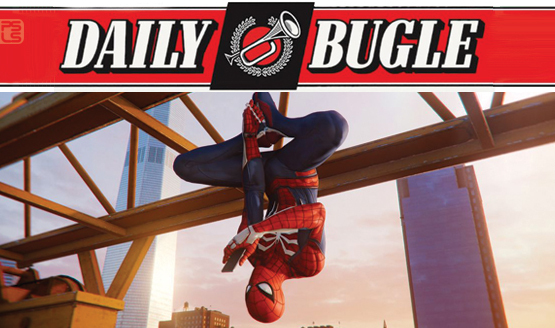 Have any of you tried Marvel’s Spider-Man yet? If you’d like to know more about it, here’s everything you need to know.